Using Contractors? Are you covered? Understanding the legal compliance around renovation projects can prevent the project from turning into a lengthy and costly court case. When conducting renovation projects the risks to the contractors can vary, the risk to you as a project manager or someone hiring external help does not change. Ensuring that the contractors have the relevant training and insurance are key to a successful and legal free outcome. So what are the basic requirements? At least one person on site at all times should be qualified in a recognised First Aid qualification. By recognised I mean a minimum of Level 2. If you are managing the overall project then it may be worth taking the course yourself. The qualification lasts for 3 years so if you’re serious about renovation, you’d probably get your monies worth. 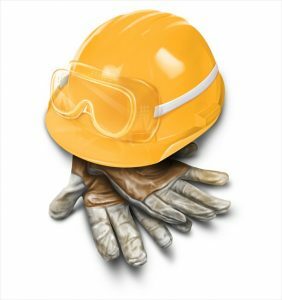 Health and Safety is ve ry broad but a basic level of competency (Level 2 online course just £20) is suffice here, this ensures that the individual/s conducting any work have the correct training and knowledge to conduct their role safely and effectively. Remember that Health and Safety also covers Fire Safety, Control Of Substances Hazardous to Health (COSHH) and many more. If the builder/contractor has completed a recognised H&S course then all of the relevant areas would have been covered. As you know only too well, projects involving renovation and building will most certainly involve elements of lifting, moving and handling. One of our large construction clients reported that most of the injuries sustained on site are due to poor manual handling skills. So how does this affect you? OK you may not be the person with a bad back or pulled muscle but you are the person who has now lost a builder or contractor from your project. This could potentially cost you time and money and possibly your reputation if you’re a project manager. Ensuring that builders/contractors have conducted the relevant training will save you from this. I understand that injuries occur even with the best training has been conducted but by using individuals that have the right qualifications you will reduce the risk tenfold. Training is something that many people look past and yet it is vital. If your contractors don’t have the training consider asking them ask them to complete the training and show you the certification beforehand. Most of the courses can be completed online in just 6-8 hours. Alternaitvely pick contractors that do have it. With all of your training checks complete and now understanding your duties and responsibilities as a project manager the next stage is checking insurance for both you and your contractors. In some streets, you can barely park for builders’ skips. Unfortunately, such is the demand for good builders that home improvers or aspiring renovators may resort to poorly insured tradesmen, with potentially disastrous results. Whatever cover you the homeowner or project manager may have, it is important to ensure any builder or contractor is appropriately insured. Research by insurer Norwich Union shows that only half of people managing a building project try to establish whether the contractor is properly covered. Employer’s liability insurance: a legal requirement for limited companies; it covers the employee who breaks a leg when the company’s ladder collapses; plenty of sole traders forgo this cover, which could involve the homeowner in litigation. Contractors’ all-risk cover: a third of builders do not bother with this, which could land the homeowner/project manager with huge bills. It covers work carried out by the builder, such as an extension, accidentally destroyed before completion or before the homeowner extends their policy to cover it. By ensuring your contractors have these 3 areas of insurance in place means you are covered also.